The argument surrounding the use of Fixed Odds Betting Terminals rumbles on, this time seeing Ladbrokes make a threat regarding the future of their sponsorship of certain events depending on the government’s decision over the money bookmakers can make from FOBTs. I’ve spoken about Fixed Odds Betting Terminals elsewhere on the site, so I won’t go over old ground here. All I will say in summary is that FOBTs are one of the biggest money makers for bookies with physical shops, thanks to the fact that they can have several machines on the premises and they’re addictive enough to have been labelled the ‘crack cocaine’ of gambling. The influence of the machines on the high street and the effect that they’ve had on people’s lives caused the government to launch an investigation into their use. That investigation is still on-going, with the Department for Digital, Culture, Media and Sport conforming that they will be asking for a reduction in the size of the maximum stake that users of the machines can play with. They are expected to announce their decision imminently, but bookies are now left wondering just how much of a reduction will be brought in. As things currently stand the maximum stake is £100, but that could be reduced to anywhere between £50 and £2. Ladbrokes Coral is one of the largest betting firms in the country, boasting around three and a half thousand betting shops between both Ladbrokes and Coral. 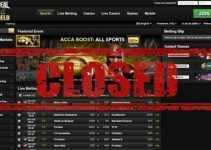 After the explosion of online betting, the amount of profit brought in by high street bookmaking shops was severely reduced. This changed dramatically with the introduction of FOBTs, with the BBC claiming that half of Ladbrokes’s in-shop profits comes from the machines nowadays. The bookmaker has claimed that a dramatic reduction in the size of the stake that players can play with on Fixed Odds Betting Terminals will see their profits plummet, meaning a sharp reduction in their expenditure elsewhere. What do Ladbrokes Currently Sponsor? Ladbrokes are one of the biggest sponsors of official events across a number of different sporting disciplines. They essentially play the same role that SkyBet plays in the UK up in Scotland, sponsoring every level of the Scottish Professional Football League, for example. They also have sponsorship deals in place with the Rugby Football League Challenge Cup, various darts competitions and also some snooker tournaments. Unquestionably the biggest area of sponsorship for the company comes in the form of horse racing, however. At the time of writing, Ladbrokes Coral sponsors a two day meeting at Newbury named the Winter Carnival, the Scottish and Welsh Grand National races and both the Coral Eclipse and the Coral Sprint at York Racecourse. That’s to say nothing of the Coral Cup that will be running next Wednesday during the Cheltenham Festival. All told there’s just shy of £3.5 million worth of sponsorship from Ladbrokes Coral in the horse racing industry. Will Horse Racing Be Affected? There is some debate over just how much horse racing will be affected by any change to the stake limit on Fixed Odds Betting Terminals. Bruce Millington, the editor of the Racing Post, said, “No-one likes the fact that the horse racing industry is a hostage to a whole load of high octane fruit machines but there’s little question that a £2 limit would have significant implications”, yet is that really true? Sponsorship isn’t the only way in which bookies support the horse racing industry. The Horserace Levy Betting Board collects a 10% levy on horse racing bets before distributing it as prize money, as well as using it towards the improvement of racecourses and investing it in equine veterinary science. That was £50 million last year as it was limited to bets placed in physical betting shops, but this year it has been expanded to include revenue from bets placed online. That means the levy is expected to be roughly double this time around, meaning the impact of a change to FOBT stakes will likely be minimal. One thing that is likely to change, though, is the loss that will come from a reduction in media rights. At present, every bookmaking shop pays around thirty-thousand pounds to the horse racing industry in order to have the rights to screen all the races that they want to. Some gambling firms believe that a reduction of the maximum bet from £100 to £2 will lead to the closing of high street shops, which will in turn see a reduction in the amount of money that horse racing takes for those broadcasting rights. What Are The Various Parties Saying On The Issue? Martin Cruddace, the chief executive of Arena Racing Company, which is the largest racecourse group in the United Kingdom, said of a potential change to FOBT odds that, “The effect on prize money and the economic ecosystem of the industry would be pretty catastrophic. It would be a sad irony that the great work of the industry and government in extending the levy to online operators last year could be undone (and more) at a stroke”. This is an opinion that is echoed by Ladbrokes Coral, with a spokesperson saying, “A severe stake cut has many implications not least on jobs, the Treasury and the sports we support. Sports sponsorship is a two-way street, yes we get exposure but it also helps sports finance their entire structures right down to grass-roots funding”. The Ladbrokes spokesperson did hint at the notion that horse racing might not be one of the worst affected sports, should sponsorship cuts need to be made. They said, “Horse racing is in the bookie DNA and some sponsorships and partnerships go back many years and have a history and association that make them very valuable and high on the list to continue”. The implication there being that more modern sponsored sports, such as darts, might be the first to lose the income from the sponsorship that Ladbrokes provides. William Hill joined their rivals in suggesting that sponsorship deals could be dropped if the government’s decisions on FOBTs was too reduce the stake too much. Interestingly, none of the threats made by the various bookmakers moved the Department for Digital, Culture, Media and Sport to suggest that their decision will be influenced. They merely responded by confirming that the maximum stake of FOBTs will be cut so that ‘we have a safe and sustainable industry where vulnerable people are protected’. They also said that they announce their final decision on the matter ‘in due course’. Tracey Crouch, the Sports Minister, spoke of the need to ‘strike the right balance’, with the government needing to protect ‘the most vulnerable, including children, from gambling-related harm’. This is unlikely to be my last post on the matter.